This week (November 2-December 4) in English literary history – William Shakespeare married Anne Hathaway (November 28, 1582); Poet William Blake was born (November 28, 1757); Washington Irving died (November 28, 1859); Louisa May Alcott was born (November 29, 1832); C.S. Lewis was born (November 29, 1898); Samuel Clemens aka Mark Twain was born (November 30, 1835); Jonathan Swift was born (November 30, 1667); Oscar Wilde died (November 30, 1900); Charles Dickens gave first U.S. reading (December 2, 1867); Agatha Christie disappeared for 11 days (December 3, 1926); Tennessee Williams’ Street Car names Desire premiered (December 3, 1947); Robert Louis Stevenson died (December 3, 1894); Bram Stoker married Florence Balcombe (December 4, 1878). Samuel Clemens, later known as Mark Twin, was born on November 30, 1835 in Florida, Missouri. Clemens was apprenticed to a printer at age 13 and later worked for his older brother, who established the Hannibal Journal. In 1857, the Keokuk Daily Post commissioned him to write a series travel essays, but after writing five he decided to become a steamboat captain instead. He signed on as a pilot&apos;s apprentice in 1857 and received his pilot&apos;s license in 1859, when he was 23. In 1866, Twain traveled to Hawaii as a correspondent for the Sacramento Union. Next, he traveled the world writing accounts for papers in California and New York. These travels were later chronicled in The Innocents Abroad (1869). In 1870, Clemens married the daughter of a wealthy New York coal merchant and settled in Hartford, Connecticut, where he continued to write travel accounts and lecture. In 1875, his novel Tom Sawyer was published, followed by Life on the Mississippi (1883) and his masterpiece Huckleberry Finn (1885). Bad investments left Clemens bankrupt after the publication of Huckleberry Finn, but he won back his financial standing with his next three books. In 1903, he and his family moved to Italy, where his wife died. Her death left him depressed and bitter, and his work, while still humorous, grew distinctly darker. He died on April 21, 1910 from a heart attack at his home in Redding, Connecticut and was buried at Woodlawn Cemetery in Elmira, New York. 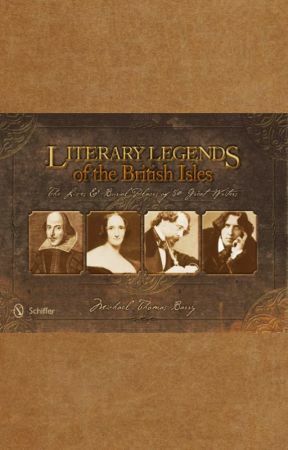 Michael Thomas Barry is the author of six nonfiction books that include the gold medal winning Literary Legends of the British Isles and the soon to be released America’s Literary Legends. Visit Michael’s website www.michaelthomasbarry.com for more information. 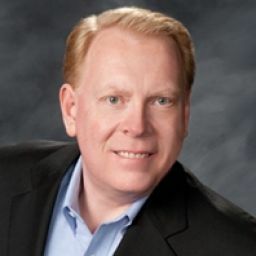 His books can be purchased from Schiffer Publishing, Barnes & Noble, Powell’s Books, Amazon, and other fine book sellers.